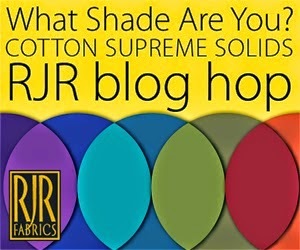 Modern Cozy: RJR Supreme Solids Blog Hop and Giveaway! Thank you so much for the giveaway! That is a perfect autumn quilt, I need to get started on something so cozy now that the weather has turned - and I can actually get that pattern made before it's spring again! I love your quilt! I have been wanting some solids because I don't have much,, so it would be great to win! Thanks so much for a chance! What a gorgeous quilt! Your colors are yummy! So rich! Awesime job! it's beautiful, darcy! and i'm with you...fall can't come soon enough! I love the way that your quilt glows! What a wonderful color combination. Thanks for the chance to win these fabrics and thanks for your inspiring blog! What a lovely, colorful Fall quilt! I love that location you chose for displaying your quilt for those pictures! I didn't even notice the chevrons until you mentioned it and then I saw them a lot! You did a beautiful job and your blog was a pleasure to read! Beautiful colors in a beautiful setting. Love those big block in-your-face quilts! I am not sure I would have picked those colors out on my own but I love the way they play together! Beautiful! Love it all--the colors, the pattern! I love your photography of this gorgeous quilt. I really love this quilt, and the subtle chevrons are fantastic! I haven't done much with solids yet--this would be a great opportunity to give them a try. Thanks! What a beautiful quilt -- and I loved the way you showed it off in the photos. They really show the pop of the colors. I love fall too, beautiful use of colors! This is fabulous....I love big blocks and solids...thanks for the cutting schematic too, my kind of high tech! I love it -- and I don't even like making Flying Geese! Great reveal, your quilt is beautiful! Your flying geese quilt is so striking - thanks for sharing & thanks for the chance to win. I usually am not a fan of Flying Geese, but you have taken them to a new level. Love it! Your quilt and the colors are just fabulous!!! Thanks to you + RJR for sharing! The colors you chose were amazing. It is a beautiful quilt. And I love how you photographed your quilt. This will be a great quilt for my grandson. Looking forward to starting it. Thanks. Turned out wonderful. I really like Flying Geese but the colors you chose are perfect. Beautiful quilt! I love flying geese and the colors are perfect. I would love to make this quilt! Love the quilt - really need to put it on my bucket list! Bucket List of Quilts, that is!! I love the big blocks. I am putting this on my list to make. I love the gorgeous fall colors of your quilt, the big flying geese blocks and all the movement! It's lovely! Love the rich colours, your quilt is stunning and the photo shoot is beautiful! I love flying geese for the exact reason you said, there are infinite layouts, especially if you play with light/dark colours. Mission accomplished! 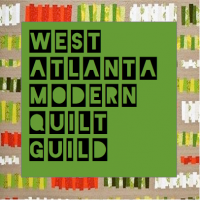 My first time at your blog and I am a fan of your quilts already! And a fan of your daughter's first quilt! How special. Thanks, too, for the give away. Hope I win because I like the colors. Your quilt is stunningly beautiful because of its simplicity. Thank you for the chance to win those pretty solids! I love your quilt, it is very 'up the down staircase'. Gorgeous, deep, rich colors! Thanks for hosting the giveaway and inspiring us with your quilt. I love the colours! I thought it was a pretty quilt when I saw the other pictures, but that first one of it on the steps is just beautiful! It looks like a painting! Thank you for a fab giveaway!!! I really like what you created with these solids! I really love the colors and the hidden chevron pattern. I'd think I could make the flying geese in the large size. Beautiful pattern. Very nice range of colors, and a nice job on the quilt! Very beautiful! I love the solids. What a gorgeous quilt! The colours are so vivid and rich. Beautiful! Your quilt is beautiful, the chevrons are very subtle, but add great movement. Your quilt is lovely. The fabrics are gorgeous. Thanks for the tutorial and a chance at the giveaway. I LOVE your quilt! And I love your high tech design method - my style too! I love these colors in this quilt! Perfect for my favorite season of the year! Such a beautiful quilt! Definitely puts me in the fall spirit. Thanks for the great giveaway. I'm an autumn girl so these colors are right up my alley. Beautiful quilt! Thanks for the chance. Beautiful quilt. I will miss summer, but the color of fall is full of inspiration. Great job and lovely colors. I LOVE the giant block quilts-it is the only way I can seem to get anything accomplished these days-and bonus I love how a traditional block made giant sized is modern! Great job on the quilt & thanks for the giveaway chance! I love big blocks! Also, I love the colour palette you chose. Thanks for the giveaway! Magnificent! I love the color choices (I miss fall here in South Florida). Your quilt is gorgeous! I love solids too, but usually coordinate them with patterns, but now you've given me more ideas! Would love to win! Beautiful quilt! Would love to add these solids to my stash, never enough solids! Thanks! I'm so in the mood to make a quilt with solids, and this one is fabulous! Love your quilt and the beautiful colors! So not ready for winter, but love, love, love fall! I love the quilt, colors and setting of photo! I would start making this today if I had the fabrics. So striking! And I would LOVE to win! I have just started to get back into using solids again. Thanks for the chance. Love your quilt! Ooooh! Flying Geese are one of my favorite blocks (the first quilt I designed & finished was FG). Love the idea of the giant sized blocks & your color placement is wonderful! I love making big block quilts and this one is gorgeous. I love the colors you chose, and having flannel on the back just makes it better! I love your quilt. The colors are perfect! Wow, that's awesome, we are already getting cooler weather here, wish it would stay warmer for just a bit longer. This would be a perfect birthday gift for a best friend!....Bwah ha ha....gorgeous. What a perfect autumn quilt. Wow, gorgeous colors! Flying geese are pretty much my favorite block. What a pretty quilt! I love the colors -- very Autumn! What a stunning quilt! The colours and design are just perfect. The setting for the pictures is also lovely. Amazing use of solids, you have shown solids will never be looked as solids again. I love the quilt and would love to make it. Thanks for sharing. I love the way some of the light colors flow together! Beautiful quilt! Thanks for the chance to win some fabric! I love love the colors...they remind me so much of the fall, my favorite time of year.